This reasonably lightweight synthetic insulated jacket is filled with Cirrus 3M Featherless insulation – which Rab reckon is equivalent to 600 fill power down. That’s a little way short of the the warmth and loft properties of the very best quality down – but then synthetics are also easier to wash, perform better when wet, and are cheaper. There are thinner fleece panels down the sides of the jacket, along the bottom of the arms and the sides of the hood. When working hard in an insulated jacket I often find the surface fabric ends up wet with sweat, but this hasn’t really happened with the Cirrus Flex – those panels really improve the breathability substantially. They are also very stretchy and give the jacket much more freedom of movement. There’s also a fleece-lined chin-guard – keeping things very comfy when all wrapped up, and two large zipped handwarmer pockets, with drop-in pockets internally. The zipstop outer fabric seems robust and shows no signs of wear, but the fleece panels do show some signs of light pilling – as they are mostly on hidden parts of the jacket this doesn’t affect the aesthetics too much. The cuffs are elasticated, and there’s a drawcord at the hem. I’ve found the sizing seems to run quite large, so bear this in mind if you usually order online; the jacket would be best if it fits closer. It’s available in 5 sizes (S-XXL) and 4 different colours, and there’s also a standard Cirrus Flex version without the hood (£10 less). Women’s version available in four colours in sizes 8 – 16. 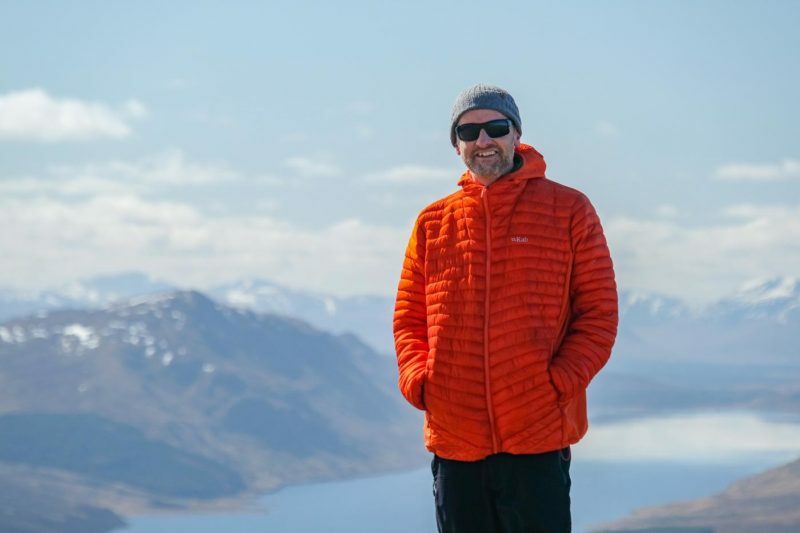 I’ve worn the Cirrus Flex both as a jacket, and as a warm midlayer under a hard shell, and I’ve really appreciated both the freedom of movement and the breathability it offers. It’s pretty lightweight for the warmth on offer, and the price is good too – this is the cheapest insulated jacket in Rab’s range.